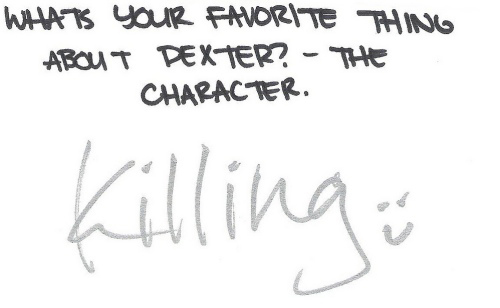 ..."Killing :)" Here's Michael C. Hall's handwritten answer on his favorite thing about Dexter! thatsums it up. would say the same thing. ovaries just dropped an egg. jussayin. Ditto... It's the smiley face. Real cute.